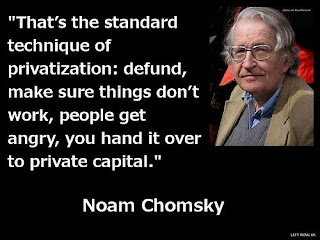 Chomsky courtesy of Sugaring Off, a post about Harper privatizing Canadian health care. 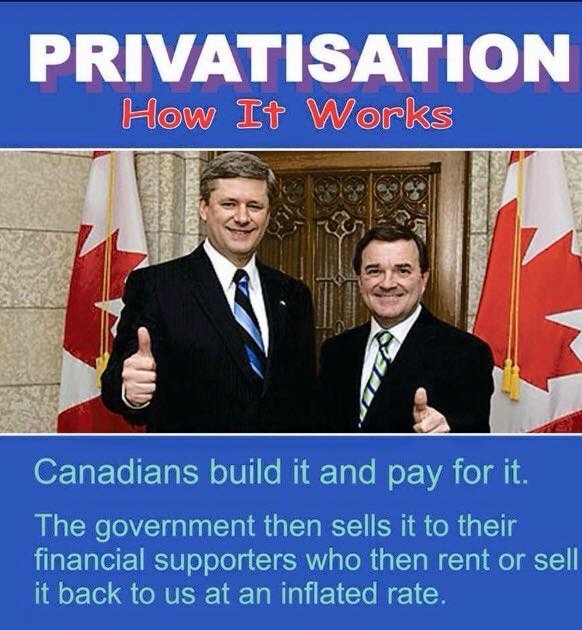 I disagree with the blogger's assessment of Harper's intentions, but I certainly agree with her/his conclusion. I think in the first picture it should read "... sell it at a discount for far less than Canadians paid in the first place." Other than that spot on I think.